Surely the facts will be disputed til the end of time. “Barack Hussein Obama II (￼i /bəˈrɑːk huːˈseɪn oʊˈbɑːmə/; born August 4, 1961) is the 44th and current President of the United States, having taken office in 2009. He is the first African American to hold the office. Obama previously served as a United States senator from Illinois, from January 2005 until he resigned following his election to the presidency in November 2008. 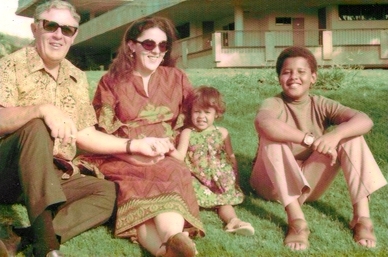 A native of Honolulu, Hawaii, Obama is a graduate of Columbia University and Harvard Law School, where he was the president of the Harvard Law Review. He was a community organizer in Chicago before earning his law degree. He worked as a civil rights attorney in Chicago and taught constitutional law at the University of Chicago Law School from 1992 to 2004.
one would think his major concern would be the fact that that thing on his head has fallen madly in love with Xavier Dolan. As for OUR DULY ELECTED AND LEGALLY CERTIFIED PRESIDENT OF THE UNITED STATES, it’s clear his remarks were meant not for the Birther Carnival Freaks but for the press, which insists on paying court to them. Maybe now they’ll stop. Oh what’s the use? Isn’t that right Helen?